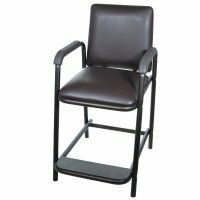 Stationary High Hip Chair / All Purpose High Chair is designed to benefit the patient with partial or total hip replacement, arthritis, or knee surgery. 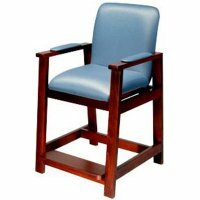 The High Hip Chairs are available in several different comfortable, attractive and durable finishes. 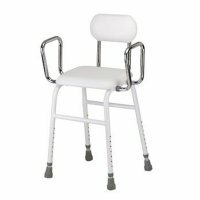 The All Purpose High Chair is equipped with a padded seat for added comfort and made with chrome-plated steel for durability. The stationary high chair comes with removable arm supports for added safety and comfort. Entry and exit from these high chairs is greatly eased by the convenience of an increased seat height.